Buffalo, New York and the saxophone – they are synonymous. The saxophone is one of the musical instruments that most closely captures the emotion, the style, and the smooth, lyrical sound of the human voice – the first musical instrument. Since Belgian instrument maker, Adolphe Sax introduced this metal-woodwind instrument in 1840, its popularity in military bands and ultimately jazz and pop groups has grown exponentially. And over the 20th century and even until today, our saxophonists fresh from the schools, private studios, and streets of Western New York dream big, setting out into the world. They are everywhere, from Las Vegas, to Europe, to New York, to L.A., and in cities across the globe, on the road with name bands, at universities, in studios, and playing Broadway-styled shows. They are sidemen; they are soloists; they are stars. They are prolific, and they are your neighbors. 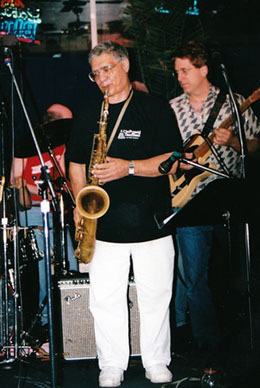 Many years ago, local musical legends such as John Sedola and Sam Scammacca taught legions of saxophonists how to play, and how to play like the great artists of the time. They weren’t alone. There were many great reed teachers, also players themselves over the years, like Ed Yadzinski, Joe Godios, Dave Schiavone, and on and on, in every corner of WNY. The fruits of their labors are the legions of saxophonists who claim WNY as their original home, or moved here to be part of the scene. Back then it was the day of Bird, of Coltrane, of Stan, and many more saxophone legends. The die was being cast, and Buffalo was in on it, big. Consider Grover Washington, or Jay Beckenstein, or Don Menza, or Bobby Militello, or Will Holton, or Lynn Ligammari, or Mike Migliore, or Spider Martin, or Tony Carere, or Bilal Abdullah, or Phil DiRe (I could do this all day long); there are so many well-known Buffalo saxophonists with great stories to tell, and an even more impressive history to their art. Beginning this Sunday, April 7th, the historic Roycroft Inn presents a new series called Artisan Jazz First Sundays at the Roycroft. It seemed wholly appropriate, given this incredibly rich history, to lead in to this new series featuring five of the dozens of WNY saxophonists who have tasted the big spotlight, and still make their homes near or in Buffalo. 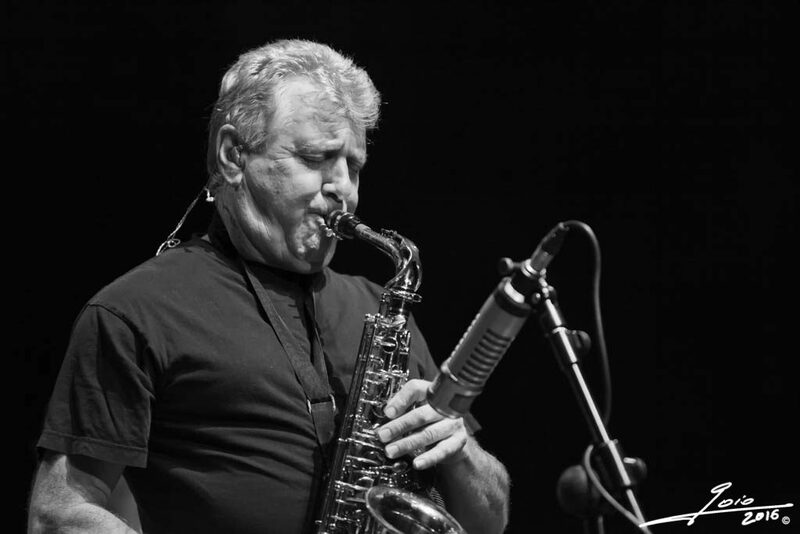 We begin with one of the most prolific sax legends in Buffalo music history, Bobby Militello. Robert Philip Militello grew up on the west side of Buffalo, learned from masters Scammacca and Sedola, and now is a master. His years on the road with the world-famous Maynard Ferguson Big Band, in Los Angeles with the Bob Florence Big Band, and his 28 years as featured soloist for the great jazz pianist, Dave Brubeck, would be quite a career for anyone. His forty-plus recordings would be a complete discography for any two great musicians. But Bobby, like the other four saxophonists to be featured in coming months, is always moving forward in his craft, seemingly never putting the horn down or diverting the flow of creative juices. Through Western New York musicians such as bandleader Jim Tudini, then-BPO pops conductor Doc Severinson, and the late great Rick James, I have had hundreds of opportunities to make music with Bobby over the years. Bobby is the ultimate in capability in all settings, knows how to have a good laugh, and in “the day” was unbeatable at the arcade video game “Centipedes.” RPM definitely knows how to properly set the horn, flick the “on switch,” and dazzle, all while respecting and musically conversing with his fellow musicians. To start this series with Bobby is just right. It will be all music, no centipedes. 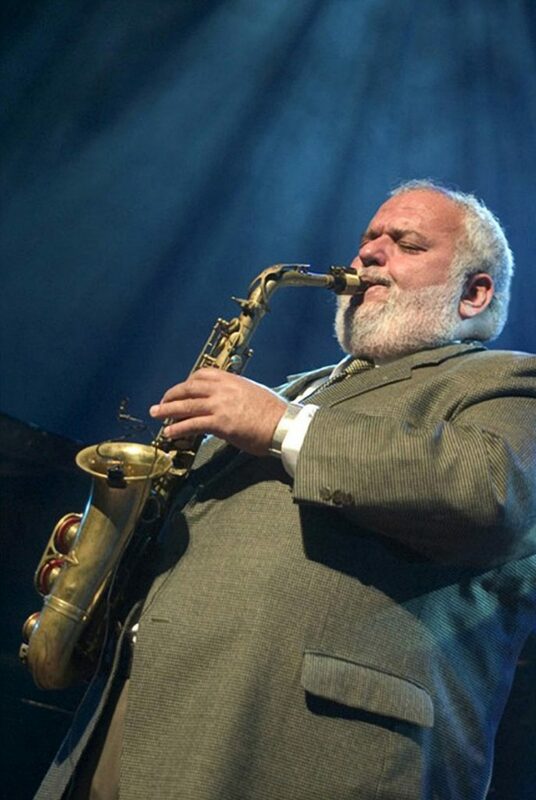 And over the ensuing four months, Andy Weinzler (Maynard Ferguson), Salvatore Andolina (Eubie Blake), Russell D’Alba (Don Menza), and Bruce Johnstone (Maynard Ferguson) round out the saxophone legends roster (this year) for the five-part series, which takes place on the first Sunday of each month, April through August. Each is a force on his instrument and will be backed up by a wide variety of Western New York’s top backline performers. 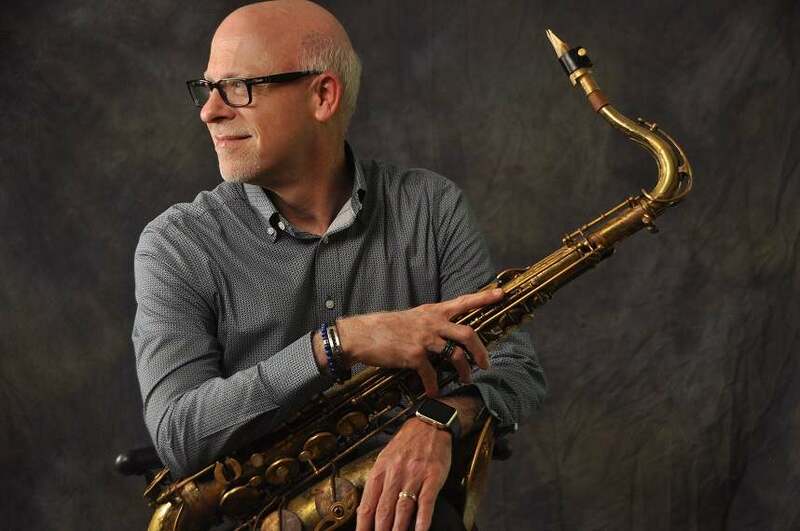 This series will proceed as a living, breathing (and big-time playing) history cruise, through the streets, the clubs, and the school corridors of a city famous for one of the most joyous musical exports, ever: the jazz saxophonist. The music starts at 6:00PM. There is no admission charge. The Roycroft presents this music “on the house.” Food and drink are available for purchase, served by a wonderful staff. Come hear the artisans of jazz, in a historic artisan setting, celebrating Western New York, and the glory of its homegrown music. what a great lineup . so much to be said about each featured artist . thank you phil and the historic roycroft inn .